This hearty soup from the Barefoot Contessa is full of goodness – squash, tomatoes, cannellini beans, pasta and spinach. And the bacon doesn’t hurt either. 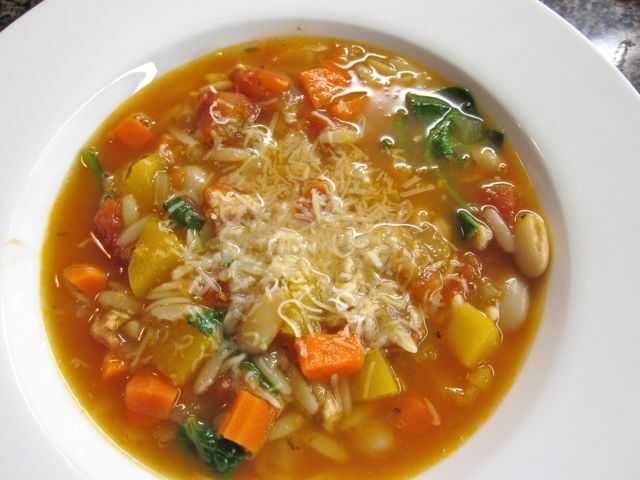 I made this soup in two stages: the first day I simmered the vegetables and liquid, and the next day I added the beans, pasta and spinach. I did not use pesto, although I’m sure it would have been a great addition. 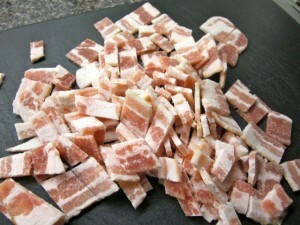 Look for bacon or pancetta with no nitrites added. You can make your own stock, or use an all-natural one, such as Imagine brand. I used PC Blue Menu white kidney beans and a white wine with a sulfite level lower than 10 parts per million. Make sure the bread has not additives; I used a baguette from Ace Bakery. Cheese can contain colour, so look for a brand with no colour added. Add the tomatoes, 6 cups of the chicken stock, the bay leaf, 1 tablespoon salt, and 1 1/2 teaspoons pepper to the pot. 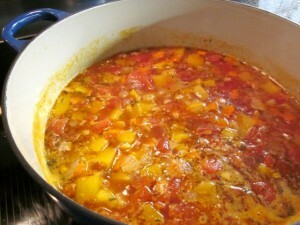 Bring to a boil, then lower the heat and simmer uncovered for 30 minutes, until the vegetables are tender. Discard the bay leaf. Add the beans and cooked pasta and heat through. The soup should be quite thick but if it’s too thick, add more chicken stock. 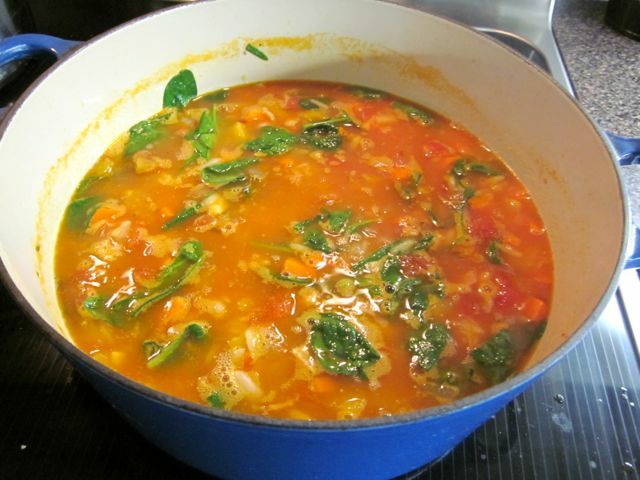 Just before serving, reheat the soup, add the spinach, and toss with 2 big spoons (like tossing a salad). Cook just until the leaves are wilted. Stir in the white wine and pesto. 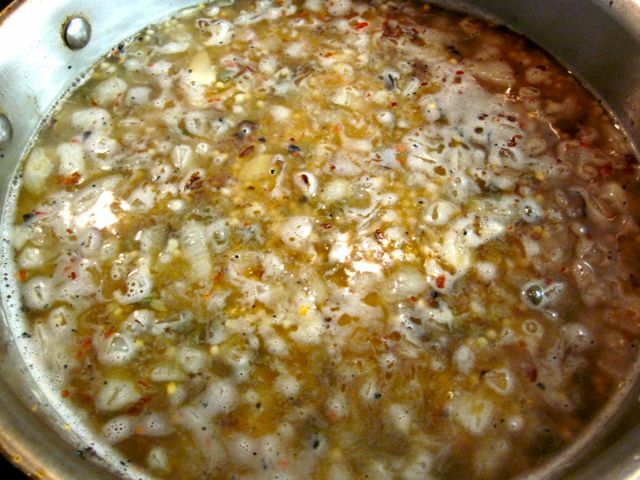 Depending on the saltiness of the chicken stock, add another teaspoon or two of salt to taste. Serve large shallow bowls of soup with a bruschetta on top. Sprinkle with Parmesan cheese, drizzle with olive oil, and serve hot. Serves 6 to 8. For the Garlic Bruschetta: Preheat the oven to 425 degrees. Slice the baguette at a 45-degree angle in 1/2-inch-thick slices. Brush both sides of the bread with olive oil and bake for 6 minutes, until lightly toasted. Take the slices out of the oven and rub the surface of each one with the cut clove of garlic. Now that the cooler temperatures have arrived, it’s time to cook a big pot of Bolognese sauce, a hearty meat sauce from Bologna, Italy. This recipe from the Williams Sonoma Pasta Cookbook contains a delicious version that uses up four types of meat and simmers for at least four hours on the stove. 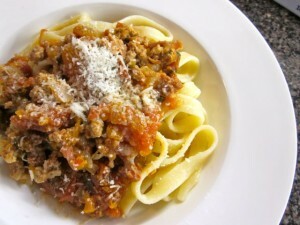 Served with fresh or dried long pasta, such as fettuccine, it is the perfect weekend dinner. Look for canned tomatoes without preservatives (I use Unico brand) and butter that does not contain colour. Ask your butcher for prosciutto that contains only salt as a preservative. Look for a white wine with a sulfite level lower than 10 parts per million and a Parmigiano-Reggiano cheese with no colour or artificial ingredients added. Drain the tomatoes, reserving their juice. Strain the captured juice to hold back the seeds. 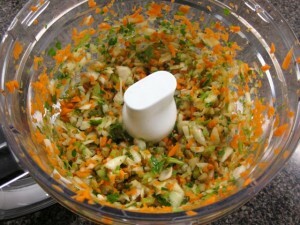 Using your fingers, push out the excess seeds from the tomatoes, then chop the tomatoes and set aside with the juice. In a Dutch oven, or large, deep frying pan over low heat, melt the butter with the olive oil. Add the onion, celery, carrot and parsley and cook, stirring occasionally, until the vegetables are softened but the onions are not coloured, about 12 minutes. 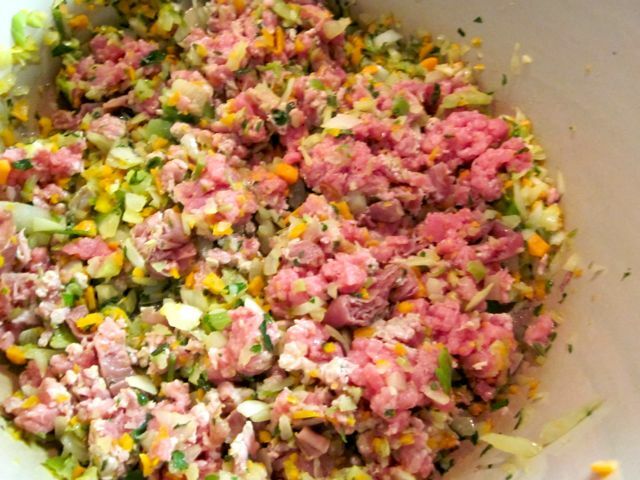 Keeping the heat low, add the meat, including the prosciutto, and cook gently, stirring to break up any clumps, until the meat is just lightly coloured on the outside and is uniformly pink inside, about 8 minutes. 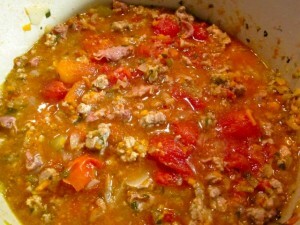 Sitr in the wine and ½ tsp (2.5 ml) sea salt and simmer very gently until most of the alcohol has evaporated and the liquid begins to be absorbed by the meat and vegetables, 3-5 minutes. Add the milk and nutmeg, return to a gentle simmer, and cook over low heat for 10 minutes. Add the tomatoes and their juice, and as soon as the sauce begins to simmer again, turn the heat down as low as possible so that the sauce barely simmers and only a few bubbles at a time break on the surface. Cover partially and continue to simmer, always over the lowest heat possible and stirring occasionally, for about 4 hours. The sauce should be deeply coloured, aromatic, and nicely thickened. Taste and adjust the seasoning with sea salt and pepper. 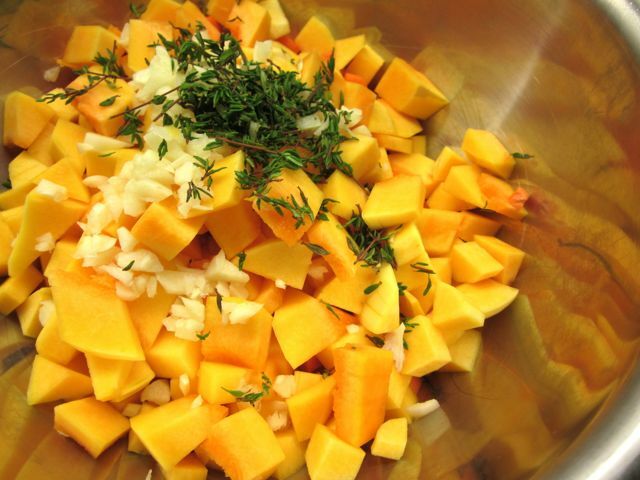 When the sauce is ready, bring 5 quarts (5 L) water to a rapid boil in a large pot. Add 2 tbsp (30 ml) kosher salt and the pasta and cook until al dente. Drain and transfer pasta to a warmed, shallow serving bowl or individual shallow bowls. Top with the sauce and serve right away. Pass the cheese at the table. Serves 4. 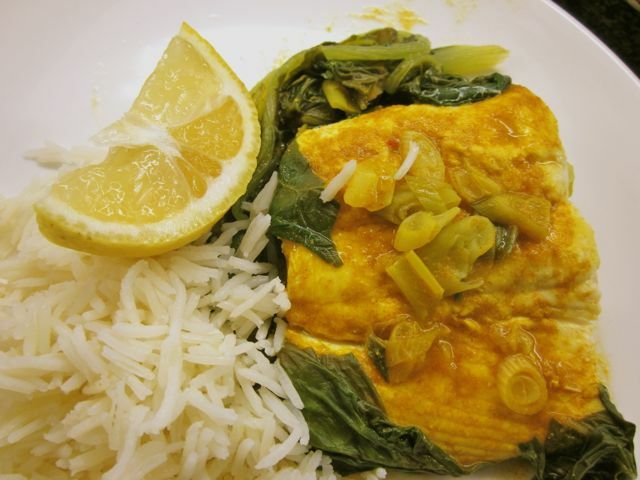 If you are looking for a light meal after all that Thanksgiving turkey and pie, try this Steamed Halibut in Swiss Chard from the October 2013 issue of Fresh Juice magazine. At about 150 calories per serving, it is a very healthy dish and it tastes good too. Blanch Swiss chard leaves, use them to wrap spice-coated halibut fillets and steam. 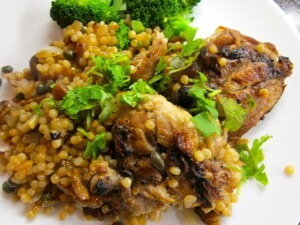 Serve with rice or couscous on the side. Use fresh lemon juice and be sure your dried spices do not contain colour or anti-caking agents. In saucepan of boiling salted water, blanch chard leaves until wilted and dark green, about 10 seconds. Transfer immediately to bowl of ice water; drain and pat dry. On work surface, lay 2 leaves flat, overlapping to patch any holes or tears. Sprinkle one-quarter of the onions in mound in centre. In small bowl, stir together lemon juice, salt, turmeric, ginger, cumin, coriander and cayenne; smear one-quarter of mixture over 1 side of 1 fish fillet. Place fish spice side down on onions. 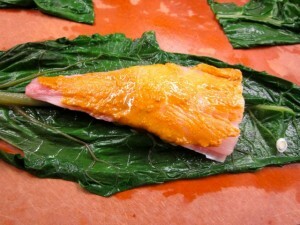 Fold 1 side of leaf over fillet and roll up, tucking in ends, to make package; place seam side down on heatproof plate. 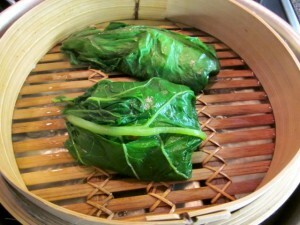 Repeat with remaining chard, onions and fish. Place plate in bamboo steamer over simmering water or place over heatproof bowl in large pot with 2 inches/5 cm boiling water. Cover and steam until fish flakes easily, 10 to 12 minutes. Serve with lemon wedges. Serves 4. This recipe from Martha Stewart Living is very tasty and quick to make. Brown the chicken, sauté onions, stir in Israeli couscous, dried apricots, capers and broth and bake. Add a green vegetable or salad and dinner is on the table. Dried apricots often contain sulfites to preserve their colour, so look for an all-natural brand such as Organic Traditions. I use Imagine chicken stock, with is preservative-free. Preheat oven to 450 degrees F (232 degrees C). 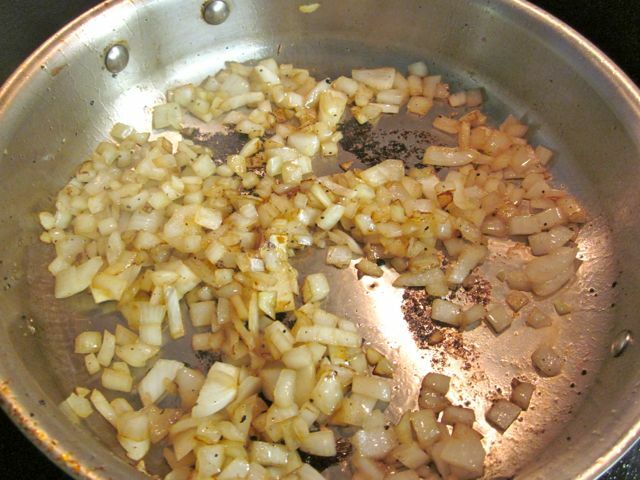 In a large straight-sided, oven-safe skillet, heat oil over medium-high. 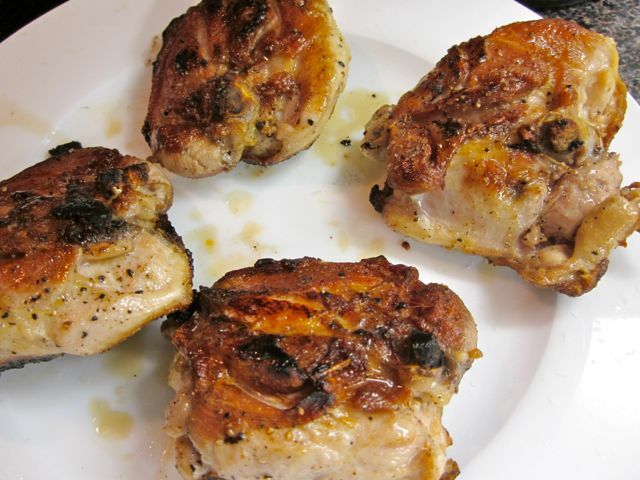 Season chicken with salt and pepper. Cook chicken until golden brown, about 5 minutes per side. Transfer to a plate. Add onion and saute until translucent, about 4 minutes. 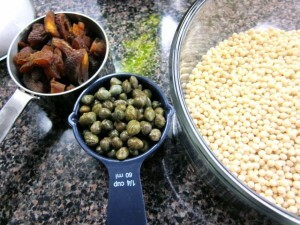 Stir in couscous, apricots, and capers and cook until couscous is lightly toasted, 3 minutes. Add broth and bring to a simmer. Season with salt and pepper. Add chicken, skin side up, and transfer to oven. 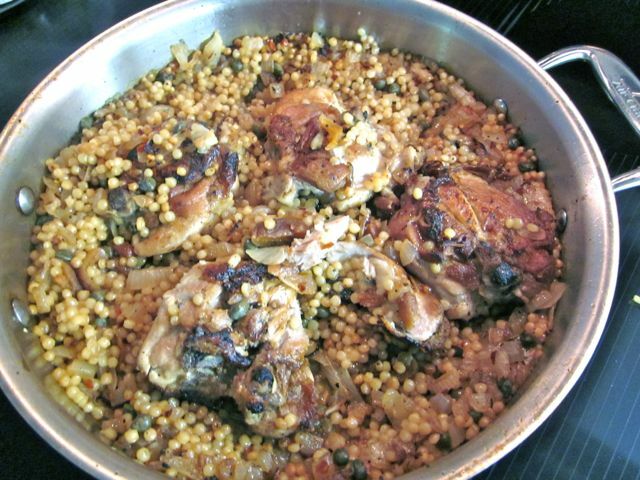 Bake until couscous is tender and chicken is cooked through, 15 to 20 minutes. Serve with cilantro. Serves 4. Eye for a Recipe is powered by	WordPress 2.9.2 and delivered to you in 0.288 seconds using 33 queries.